Last week, Gov. Pat Quinn visited striking workers at the Caterpillar plant in Joliet to offer both his moral and financial support (the latter coming in a $10,000 check from Quinn’s campaign fund for the 780 strikers’ food fund). “”When people are united they can’t be defeated,” Quinn told members of the International Association of Machinists and Aerospace Workers, who had been on strike since May. Now fast-forward a week to Governor’s Day at the Illinois State Fair. Again, there was a meeting of Quinn and organized labor, but this time there were no words of solidarity or checks being written. Instead, members of public sector unions in Illinois showed up in force to boo and heckle the man they endorsed for governor in 2010. The difference in tone in Quinn’s recent public interactions with private- and public-sector unions says a lot about the political sensitivities of the biggest fiscal issue now facing Illinois: reform of public pensions. Quinn earned the scorn of AFSCME, the AFL-CIO, the Illinois Education Association and other public-sector unions because he’s pushing for a comprehensive reform of all of the state’s pension systems. (His attempt to close some state prisons hasn’t helped either, nor did his attempted curtailment of union raises for state employees when he said the state didn’t have the money.) 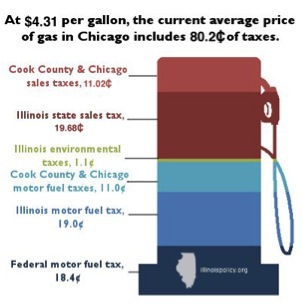 Really, though, the unions have given Illinois politicians little choice but to accept their enmity or ignore the stark reality of the pension problem. The unions have adopted a position that the state broke its promise to public employees and the only solution is to make good on that promise by replacing all the money the state should have put into the pension systems over the years. The problem is, that’s impossible. There’s no way to devise any system that raises $83 billion (a figure continually growing) on a schedule that won’t also starve the essential functions of state government. 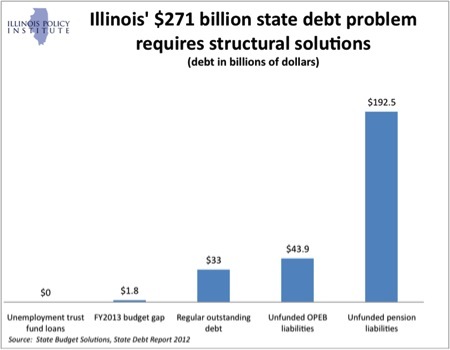 What’s more, the pension problem didn’t reach the brink of disaster solely because the state didn’t make its payments. And what the unions fail to address is that their members are the ones who stand to lose the most if the current system is not changed. It’s the current teachers, state employees and other public-sector workers who will suffer if the state retirement systems are insolvent a few decades down the road, as is predicted to happen under the current formula. The unions who now appear poised to run Pat Quinn out of office at the next available opportunity should acknowledge that, without reform, their members’ futures are at risk. Politicians, like Quinn, who for so long actively courted the support of these unions should learn from Wednesday’s Governor’s Day heckling session that perhaps public union support isn’t the prize it once was.